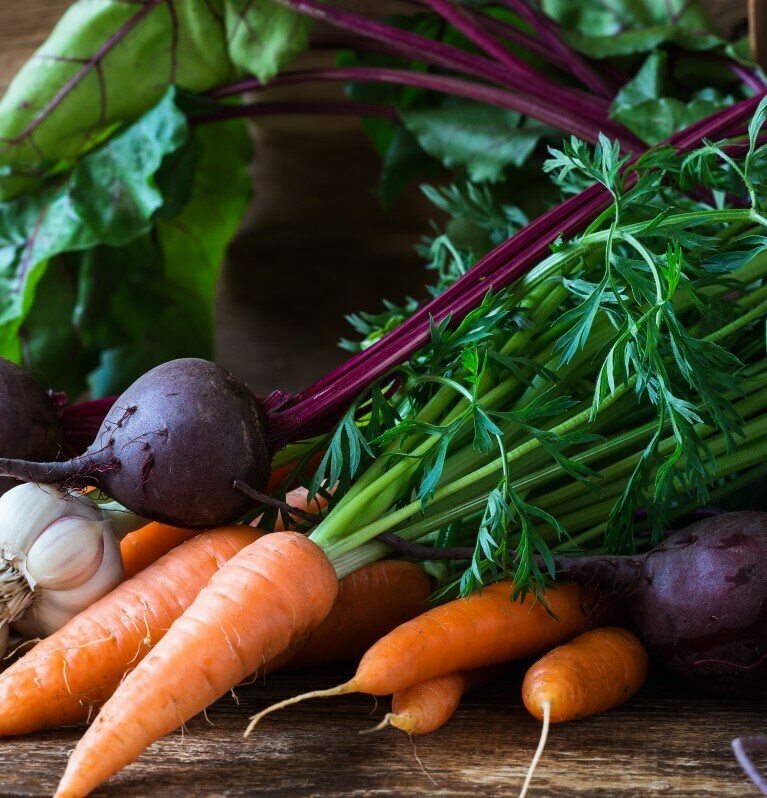 In the cold, dark winter months, when everyone around you seems to have a cold, it’s really important to eat well and that’s where winter vegetables come into their own. Seasonal winter vegetables, such as roots and winter greens, are at their best at this time of year – full of flavour, vitamins and minerals. When you’re choosing them, look for the freshest and best vegetables you can find, as these will both taste better and be more nutritious. Don’t forget that farmers’ markets and street markets are often really good places in which to stock up with prime vegetables, fresh from the fields, at bargain prices. As a general rule of thumb, root vegetables should feel firm to the touch and look unblemished; if they look sad and wrinkled and feel soft, then avoid them. Leafy greens, such as kale, should be a lovely green colour; avoid those that are yellowing round the edges. Below are a few winter favourites that I like to add to hearty winter dishes such as slow-simmered soups or flavourful casseroles, stews and tagines. This Italian variety of cabbage should have thick, curly, dark green leaves. Pick the smallest celeriac that you can find, as when they’re overgrown they can be woody inside. Look for large chunky parsnips, for the simple reason that you’ll get more flavour. Also, don’t be afraid to put loads in your dish, as once they’re cooked they’ll shrink considerably. Pick squash that feels heavy for its size. The skin should be thick, hard and flawless. Choose swede with smooth, thick and tanned colour skin. Choose small to medium ones with smooth white and purple skin, which feel quite heavy.